The Kansas City Board of Public Utilities (BPU) was recognized in 2018 as one of the country’s most reliable and safe electric utilities. 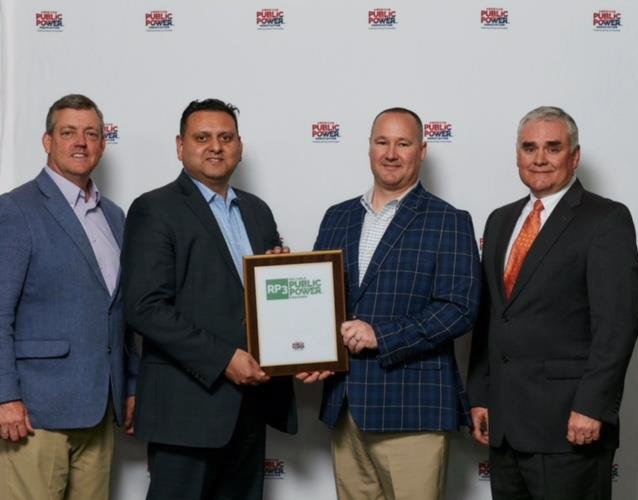 BPU is one of a select few of the more than 2,000 public utility companies in the nation to receive the Reliable Public Power Provider (RP3) Platinum award from the American Public Power Association (APPA). The RP3 designation, which lasts for three years, recognizes public power utilities that demonstrate proficiency in four key areas: reliability, safety, training and system improvement. The measurements are based on sound business practices and a utility-wide commitment to the safe and reliable delivery of electricity. Neil James, Manager of Distribution Operations at Santee Cooper, South Carolina and chair of the Association’s RP3 Review Panel, presented the designations on April 30th during the Association’s annual Engineering & Operations Technical Conference held in Raleigh, N.C.
proper protection of the environment. sustainable utilities.” BPU’s Web site is www.bpu.com.